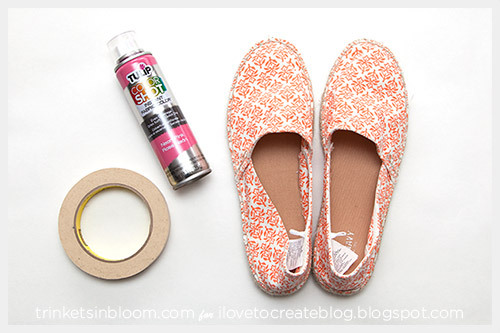 With a little tape, some patterned shoes and a shot of color (pun intended!) 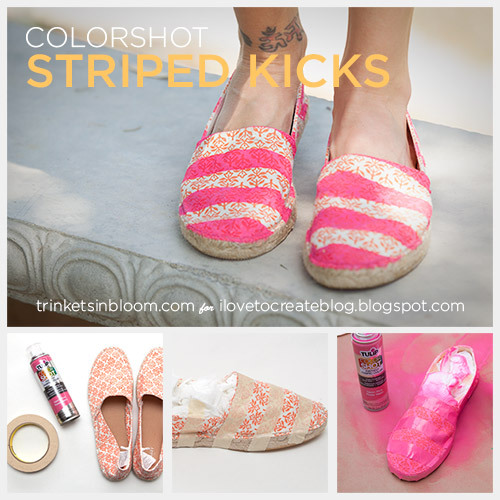 you can create some super cute summer kicks in no time! ColorShot the newest fabric spray paint from Tulip is a super fun and fast way to add color to most any fabric. I’ve had so much fun making projects with ColorShot and I can’t believe how easy it is to get bright color with it! 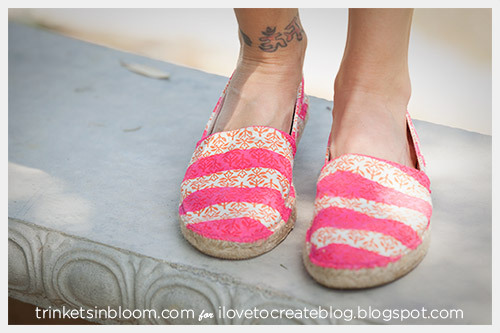 It’s so much fun,check out this post to make your own Striped Summer Shoes. It is highly recommended that you use ColorShot outdoors with good ventilation and be sure to cover your working surface it is still spray paint and it will travel a bit. 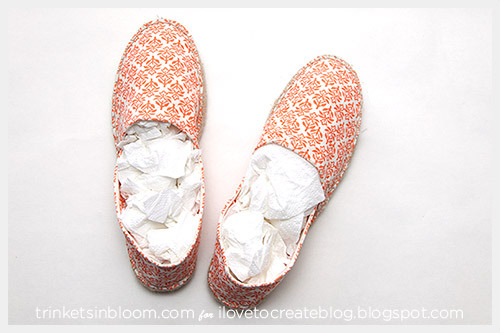 Stuff your shoes with paper. 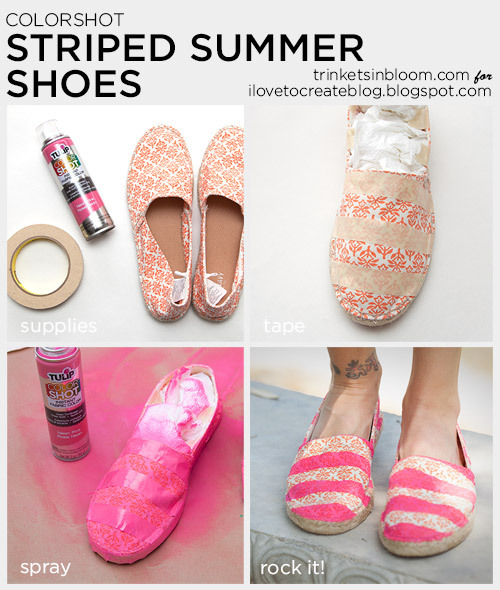 Use your tape to mask off stripes on your shoes. 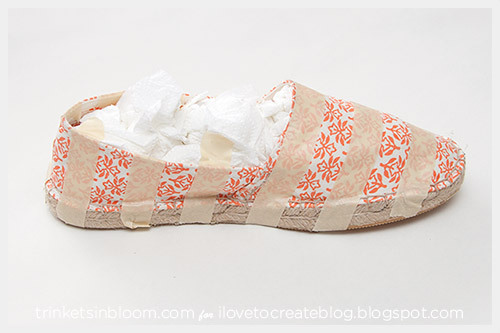 Make sure that your tape is flat and secure (no bubbles or gaps) over your shoes. You should also tape off any edges that you don’t want color on. 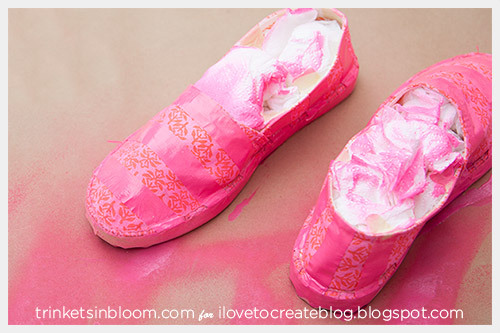 Spray one light coat evenly over your shoes. Be careful not to let too much paint sit on the tape or it will seep under the tape and bleed. 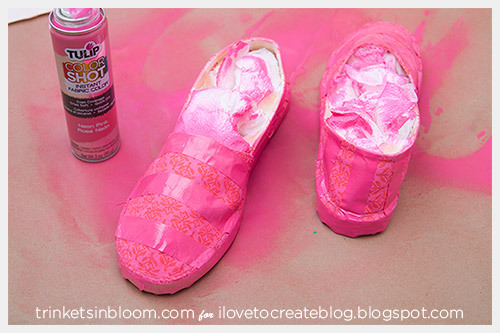 Spray a second coat evenly over your shoes. Repeat until you have the desired color. I hope you like these fun summer shoes! 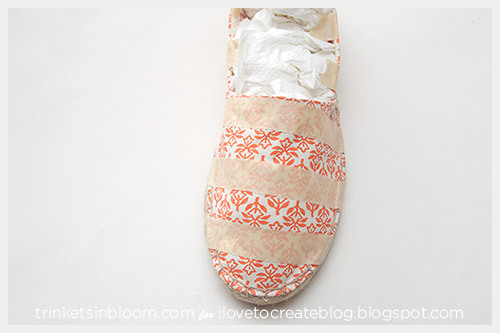 To see more fashion DIY projects please check out my blog Trinkets in Bloom!